Debt is such a burden! Borrowing money from one person to pay another is a horribly stressful way to live your life. Aren’t you sick of it yet? 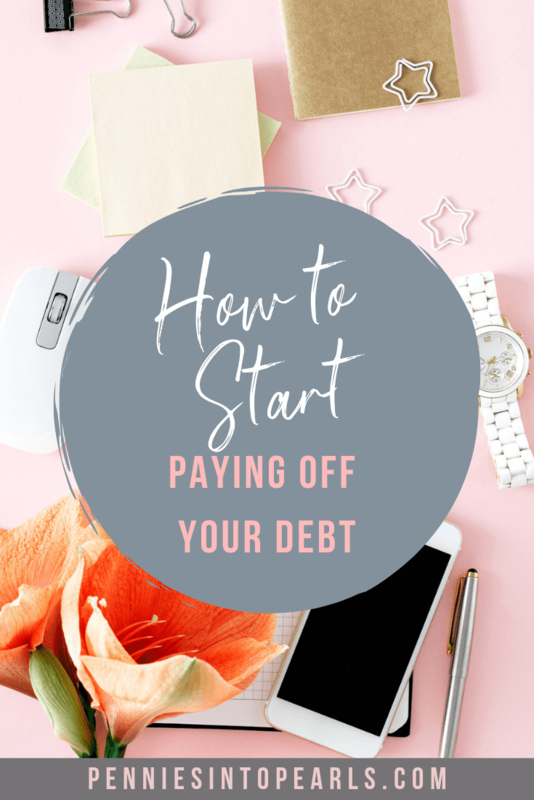 How to start paying off debt can feel like an overwhelming thought. The constant weight of the worry “what if” that you carry around on a daily basis. Think of the full breath of fresh air you can inhale once you get that off your back! But where do you begin. What is step one and where do you go from there? That is exactly what we are going to be chatting about today. We’ve all been there, Pearl. You set a budget with all the best intentions, then BOOM, budget is blown in an instant. And it happens over and over again. How does someone get started, and actually stick to their budget? Your budget is failing! It’s definitely not a cake walk, though I wish it were because that would be more enjoyable. The part that a lot of people miss is that there is a mindset you have to have around money to become successful. You have to change how you think, feel and act around money, to start to see momentum build up behind you, pushing you towards your goals! 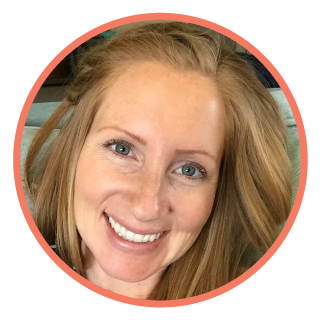 Creating a positive money mindset is vital when it comes to staying on budget! The problem is most likely you have some not so obvious hurdles that keep pushing you off track. Resulting in your budget failing over and over again. Let’s uncover those hurdles so you can start crushing them! This meal planning on a budget post contains affiliate links at no additional cost to you. Thank you so much for supporting Pennies Into Pearls by using my links! Meal planning is one of two major game changers when it came to our family once and for all sticking with our budget. 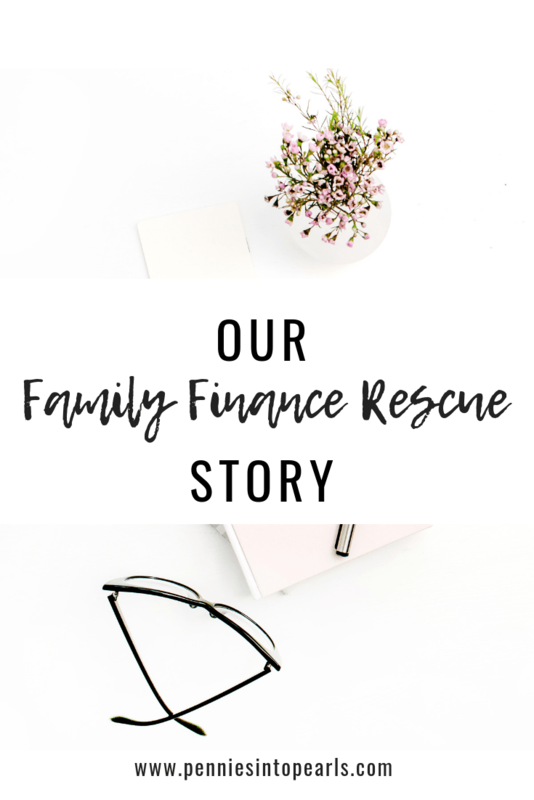 It is what helped our family go from spending over $1,000 a month on food down to $400! 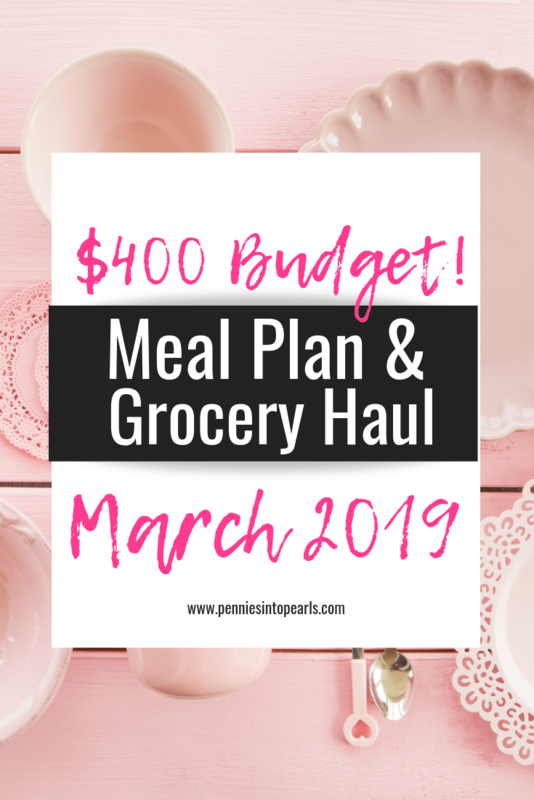 Follow along in our monthly meal planning and grocery shopping to get tips and ideas to help your family do meal planning on a budget. This is going to be fun! 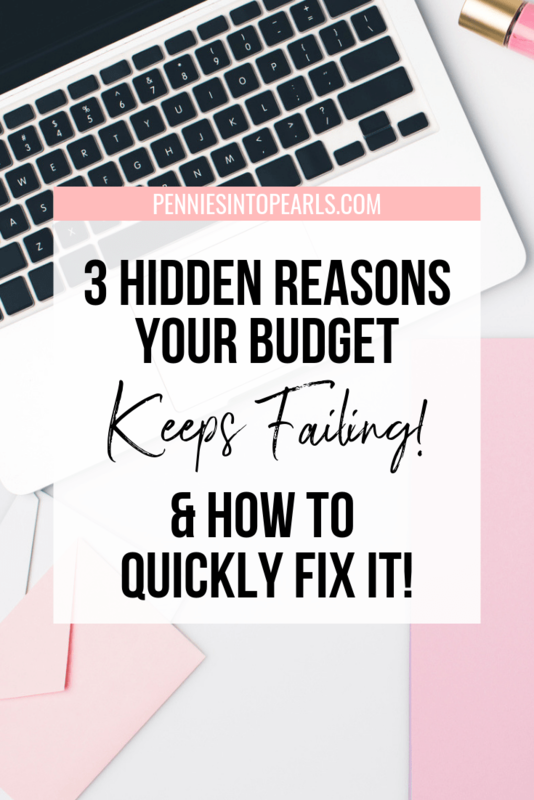 I am so happy to introduce you to a brand new series here on Pennies Into Pearls where you get a look into another Pearl’s real life budget strategies and life lessons that they have picked up along the way. Learning how other families are making it work is always a top way to keep our own motivation. When working through your own financial rescue for your family, I want these Pearl spotlights to offer you encouragement to keep going! 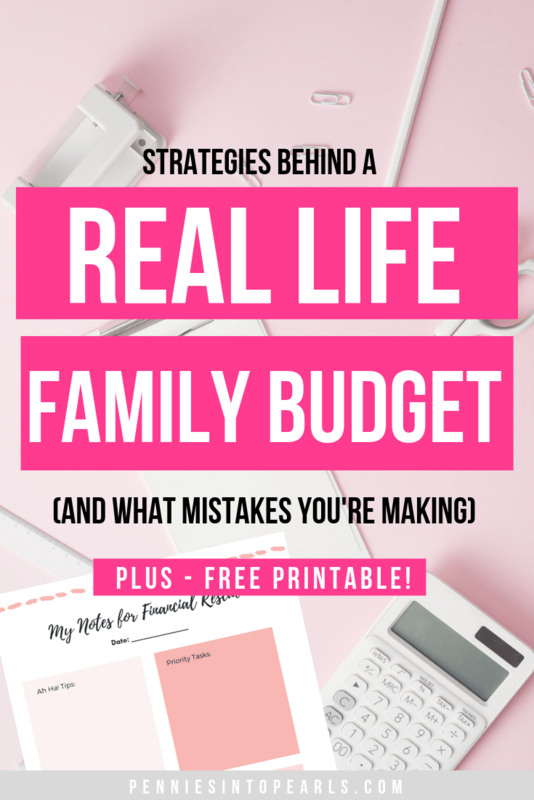 As you watch these real life budget talks, pay attention to strategies and tips that you can try out with your own family finances. Is there something our Pearl has done that you could adjust a bit to customize for your own family budget? Are you one of our lucky Pearls who is getting a refund from their taxes this year? Lucky! I bet you are so excited! I am excited for you! 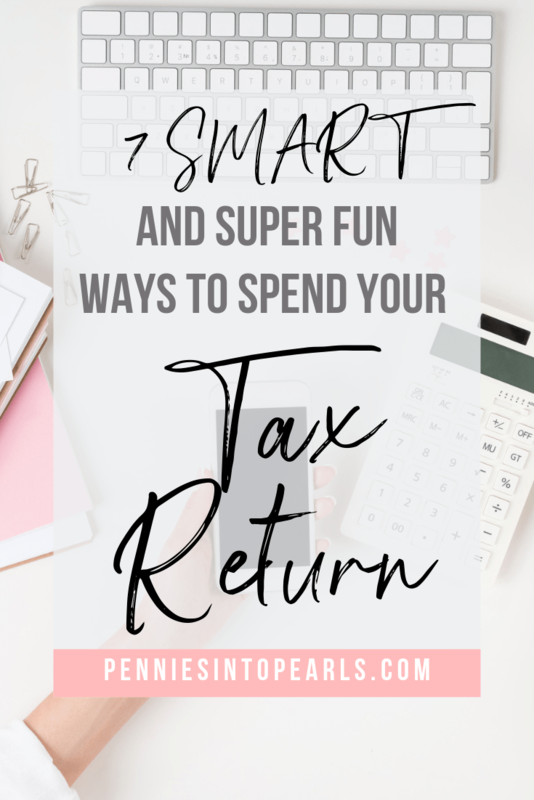 Do you already have plans on different ways to spend your tax return? There is so much that you can do with that cash! Would you mind me offering a few suggestions as to what you should do with that money? To be sure you are intentional with those dolla bills and don’t end up wondering where it all went! What if you could use that tax return to help your family by actually starting to gain traction on your goals? Think of all the stress it will lift from your shoulders! Think of the excitement and hope you could provide! Do you have the spring cleaning fever like I do? We just got our carpets cleaned and it’s heaven on earth! 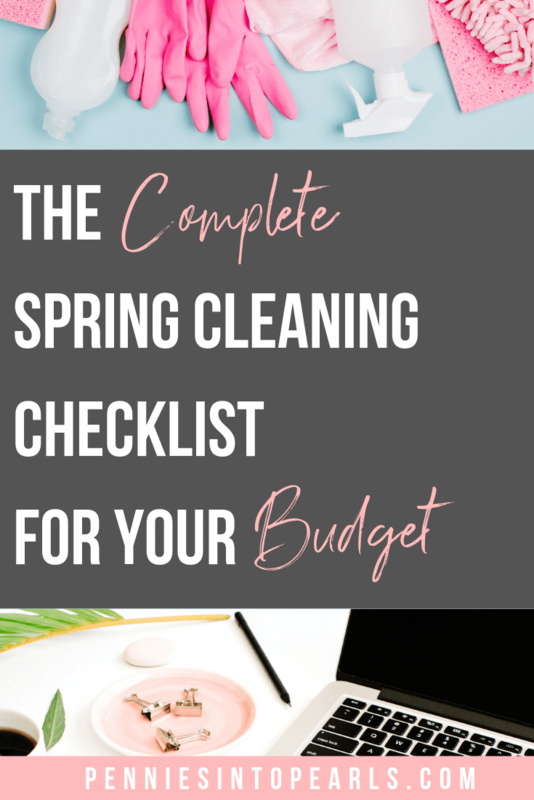 But we aren’t talking about cleaning your house, let’s take it up a notch on the importance scale and talk about spring cleaning your budget! March seems to be that time of year where you start to crave some more springy, yes springy, type meals but it’s still a bit cold outside. Talk about confusion for our taste buds! 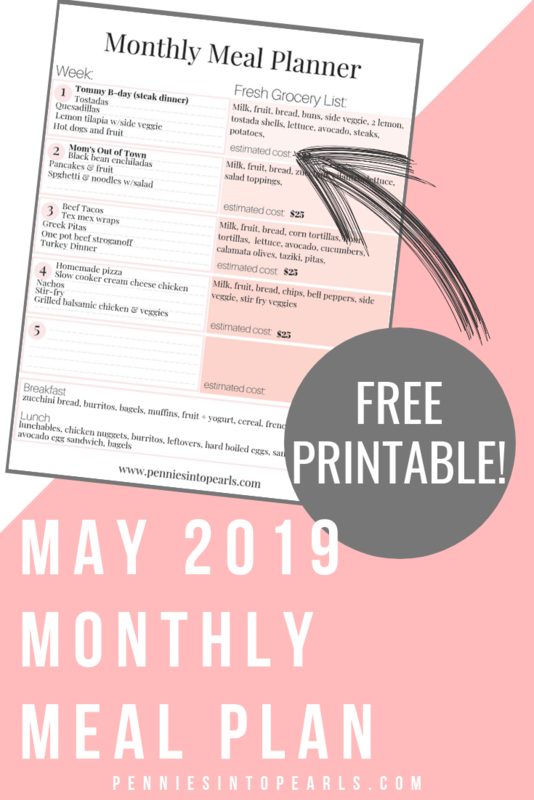 Well that is the confusion in my brain but I feel very confident that I will set all our confused minds at ease with this months meal plan on a budget! Not only does it have an array of lighter dishes, I also left some hearty comfort meals in there to keep us warm! Man it’s been a minute since we share our family budget update and holy cow a lot has happened since I last took you into our bank account! I have a lot to share with you this month! I also really want to know what information I can share that would be most helpful for you and your family. So stick around and we can chat! With all the extra holiday spending and budgeting behind us, it’s exciting to look to the New Year with new financial goals! 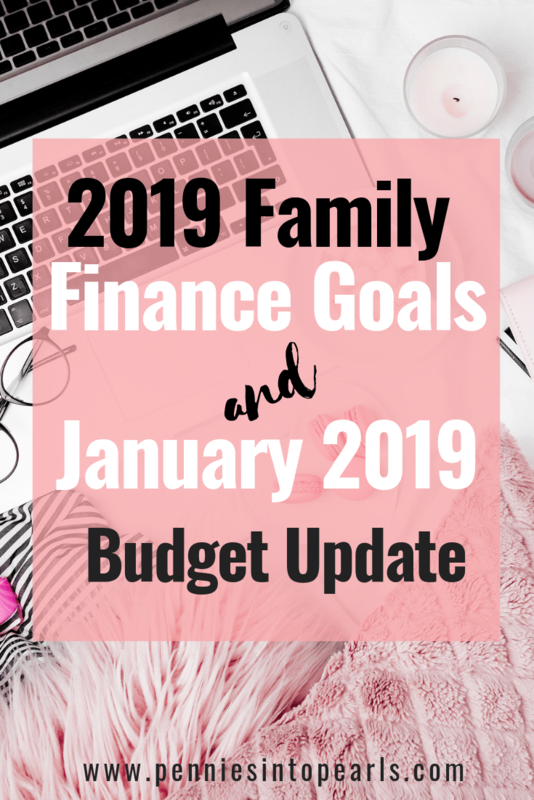 Hubby and I in the process of sigging down with our Financial Unity Workbook and and planning our 2019 goals around what we currently value most for our family finances. Starting a family budget doesn’t have to be restrictive! Look at it in a way that you are actually telling your money what to do rather than wondering where it went. Then not having enough to pay the bills… Stressful! Make sure to continuously check out my Instagram Stories for helpful budgeting tips! This family finance post contains affiliate links at no additional cost to you. Thank you so much for supporting Pennies Into Pearls by using my links! I know how it feels! The weight of all your financial worries makes you feel like you can barely tread water for one more second before your head goes under! You find it mind baffling that for some unknown TO YOU reason you can not stick to a budget even if your life depended on it.